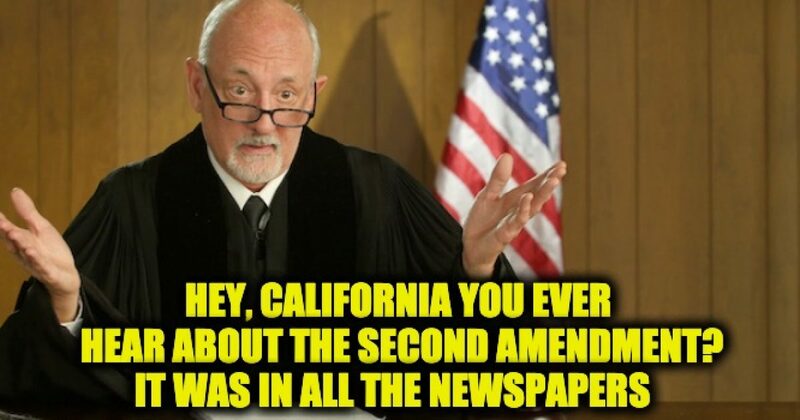 Political tremors are continuing in California and along the entire West Coast in the aftermath of last Friday’s ruling by a federal judge that the Golden State’s long-standing ban on “large capacity magazines’ is unconstitutional, with state Attorney General Xavier Becerra swiftly moving on the appeal process, and asking for a stay in the interim. It was as though U.S. District Judge Roger Benitez had dynamited the San Andreas Fault. Judge Benitez is a 2004 appointee by then-President George W. Bush. Because federal judicial appointments are for life, it sometimes takes years to see the benefit of such an appointment. President Donald Trump has been quietly filling federal court vacancies with judges who may be more enlightened on the Second Amendment, and don’t see their roles as being “activist” in nature. He’s even made a couple of appointments to the Ninth Circuit, which covers all of the Western states and is known for its strong liberal leanings. The Benitez decision seems to cover all the bases regarding the ineffectiveness of the large capacity magazine ban, and in the judge’s learned opinion, the ban does not pass the constitutional smell test. It might also take momentum out of efforts in Oregon and Washington to ban large-capacity magazines, not to mention the guns that use them. If the Benitez ruling is upheld by the Ninth Circuit, or if it fails there and then goes to the U.S. Supreme Court, the outcome could be catastrophic for the gun prohibition movement. The ruling effectively dismantles many of the leading gun control arguments, including the scary notion that just because a magazine holds more cartridges, it is somehow more dangerous in civilian hands. Judge Benitez concluded that “California’s law prohibiting acquisition and possession of magazines able to hold any more than 10 rounds places a severe restriction on the core right of self-defense of the home such that it amounts to a destruction of the right and is unconstitutional under any level of scrutiny.” Benitez, who in 2017 issued a stay that prevented the law from taking effect, also agreed with the plaintiffs that the ban amounts to an unconstitutional taking of property without compensation. This case is far from over, but it has had an earth-shaking first round.